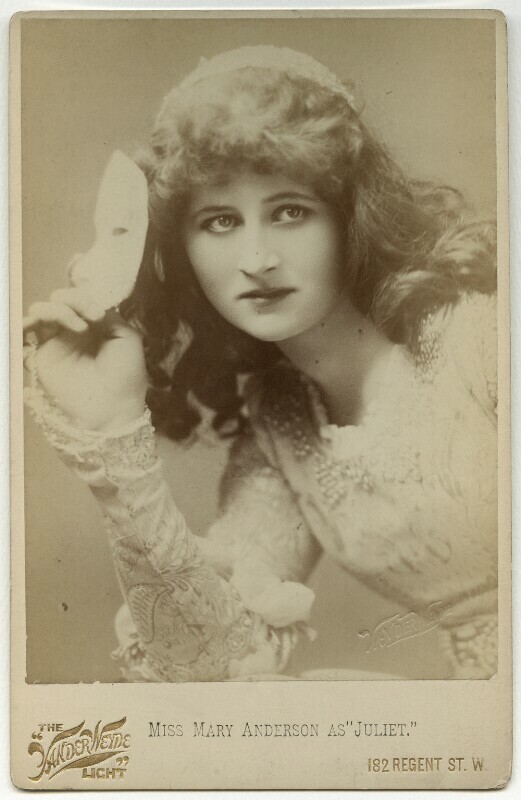 Mary Anderson (Mrs de Navarro) (1859-1940), Actress. Sitter in 53 portraits. Henry Van der Weyde (1838-1924), Painter and photographer. Artist associated with 53 portraits, Sitter in 1 portrait.